Aside from fashion, animals are one of Heart’s greatest passions in life. She has several dogs at home, but often photographs her Aspin, Panda. She even brought this cute dog to our Cosmo Spotlight shoot! Kath is definitely a dog mom! 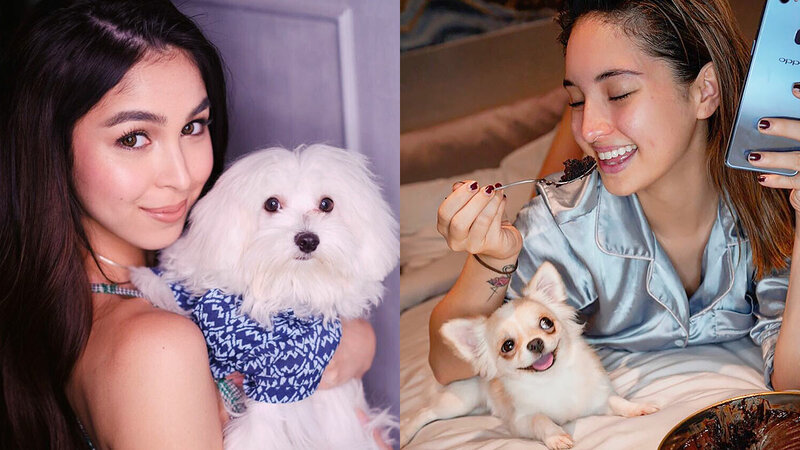 She even made an IG account dedicated to documenting her adventures with her bbs Tala, Pablo, and Cloud! Here’s Julia’s bb, Mason, at a photo shoot. Proud dog momma moment! Solenn and Nico are parents to their turtle Patato, their cat Negroni, and most recently, this adorable bear-dog named Pochola! Just like her Ate Anne, Jasmine looooves dogs, too! Her dogs #Papiotpls and #bbwaffle—collectively known as The Bochogs Pugs—are too pure for this world. We cannot. Okay, we can’t help but smile at the sight of Bea’s pup, Walter! Mond has a dog you don’t normally see around the Philippines—an Afghan Hound! He adopted this beautiful Blue Black Afghan Hound, Presley, in 2016. Before being a momma to Pancho, Saab’s first bb is this super adorbs pupper named Joey! World, meet Kiana’s Cocker Spaniel, Kylo! A corgi! A corgi! Patricia's Ollie is the cutest corgi we’ve seen! Angel’s bb, a Bichon Frise, looks like a giant cotton ball! Gigil!